Polk State College students recently competed in the Phi Beta Lambda State Leadership Conference — where they earned numerous accolades. Future Business Leaders of America-Phi Beta Lambda (FBLA-PBL) is the nation’s oldest and largest education association, with 250,000 student members preparing for careers in business or business-related fields. FBLA-PBL has four divisions; PBL is the division for postsecondary students. The State Leadership Conference took place in late March in Orlando. 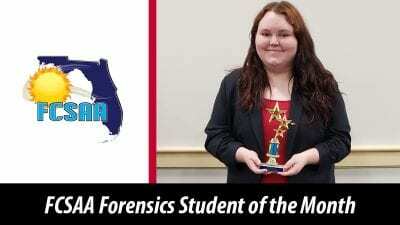 Ten Polk State students competed, and placed in the top five in 13 events. Polk State’s students competed against those from other state colleges, universities and private institutions from across the state. Cunningham, Gerber, Harmon, Herbig, Rugg, Saint-Louis, Thomas, and Wiseman all qualified to compete at PBL’s National Leadership Conference in June in Anaheim, Calif.